SBC is certain that collaboration will play an important role in the development of the biomass and renewable energy sector in Sarawak as it aims to evaluate the economical value of converting its biomass to industrial biochemicals using the technological innovation of GlucanBio. 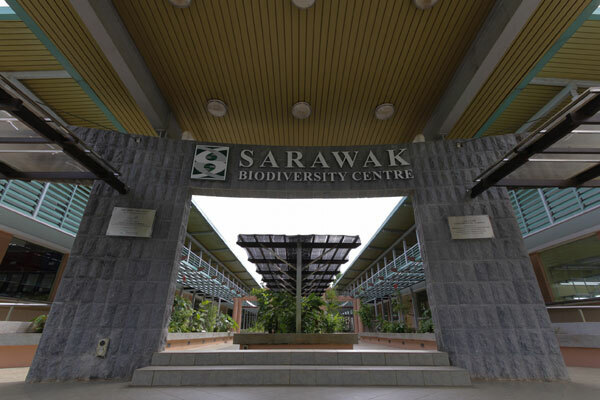 KUCHING: Sarawak Biodiversity Centre (SBC) entered into research collaboration with Glucan Biorenewables LLC (GlucanBio), located in St Louis, Missouri USA, to further Malaysia’s vision of creating a more sustainable economy by using biological resources and industrial biomass waste for various industrial applications such as biofuels and natural chemicals. According to a press release, GlucanBio is commercialising a biomass conversion platform that delivers cost-disruptive sugars, drop-in chemicals, and biofuels. The technology uses novel organic liquid phase catalysis to fractionate biomass 100 times faster than aqueous-based systems, separating the cellulose and the hemicellulose into two streams. Both streams are further processed to produce furfural, a valuable chemical, and glucose at very competitive costs. Under the research collaboration, GlucanBio will study several materials provided by Sarawak, including biomass from oil palm, nipah palm, sago pith, and wood chips to produce low cost renewable chemicals such as furfural and sugars. The research will include measurements of product yields to show economic viability models. Victoria Gonzalez, chief executive officer of GlucanBio said the company is extremely pleased to be working with SBC and to help further the goals of creating a more sustainable bioeconomy using innovative technologies. “GlucanBio’s experienced technology team has a strong track record of innovation and research in creating high-value chemicals from biomass and we are confident that our collaboration will provide value and contribute to Malaysia’s economic growth and sustainability goals,” said Gonzalez. Meanwhile, SBC is certain that collaboration will play an important role in the development of the biomass and renewable energy sector in Sarawak as it aims to evaluate the economical value of converting its biomass to industrial biochemicals using the technological innovation of GlucanBio. According to SBC’s Acting CEO, Yeo Tiong Chia, “There are many benefits in harnessing multiple high-value chemical products from biomass wastes that would otherwise be under-utilized”. The collaboration between SBC and GlucanBio materialized when a Sarawak delegation to the international BIO Conference in San Diego in June this year identified GlucanBio’s technology to be one of the key drivers to deliver a green and renewable bio-industry in Sarawak Corridor of Renewable Energy (SCORE).